Video streaming site YouTube has rolled out a new censorship campaign this week and starting banning users who mention natural remedies such as CBD oil in their videos. 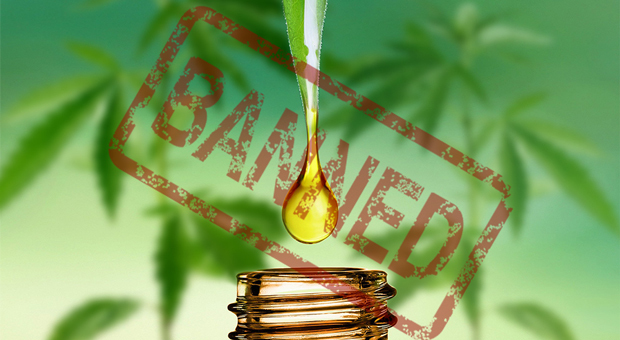 Channels that mention CBD oil (cannabidiol) in any of their videos will be banned under the new policies because, according to YouTube, it "poses a risk of serious physical harm or death." The Google-owned internet giant has been accused of jumping in bed with Big Pharma and the corrupt cancer industry, for enforcing this suspicious new policy. YouTube has now begun banning entire video channels that post videos describing the compassionate use of CBD oil for cancer patients over "approved" expensive long-term drugs and treatments. Google is now branding this natural oil, with no known side effects, that helps to ease the pain and suffering of thousands of people, as "dangerous." Mike Adams, otherwise called The Health Ranger on YouTube has now been permanently prohibited from using the site under this new ruling. 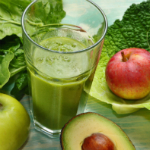 The Natural News channel is for a second time, gone. 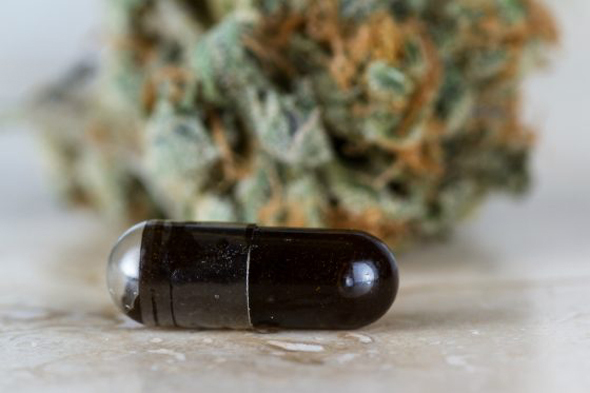 According to Adams, YouTube claimed a 43-second video he posted about the compassionate healing potential of CBD oil was subjecting viewers to "risk of severe physical harm or death." 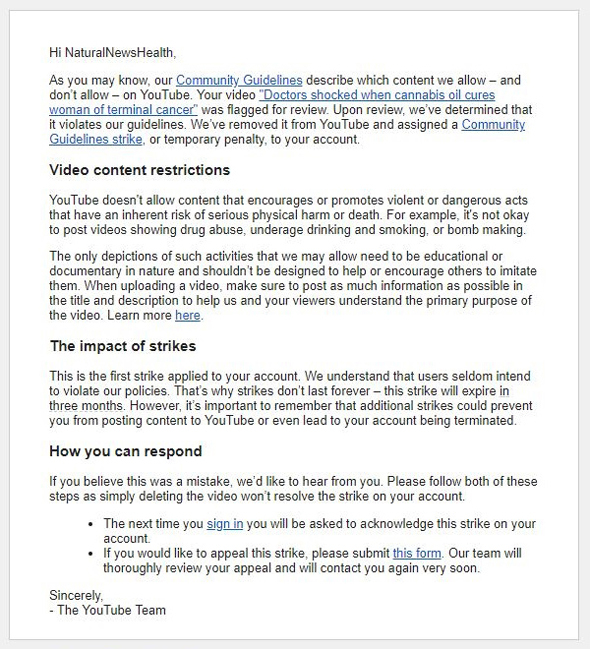 Instead of allowing the issuance of three strikes before banning a channel, YouTube completely prohibited our channel with a single strike (see screenshots below). YouTube now thinks about videos that talk about natural medicine and saving lives from cancer to be "hazardous" and "unsafe." That's what YouTube has now become: an enemy of natural medicine and healing. This is the very same YouTube that honestly enables children of all ages to see a violent depiction of a deadly massacre due to the fact that its part of a hate-based music video from "Childish Gambino" called This is America. Meanwhile, Paul Joseph Watson's video that brilliantly exposes the narrative of violence and hate that infuses the video has been shadowbanned by YouTube to make sure no one sees it. 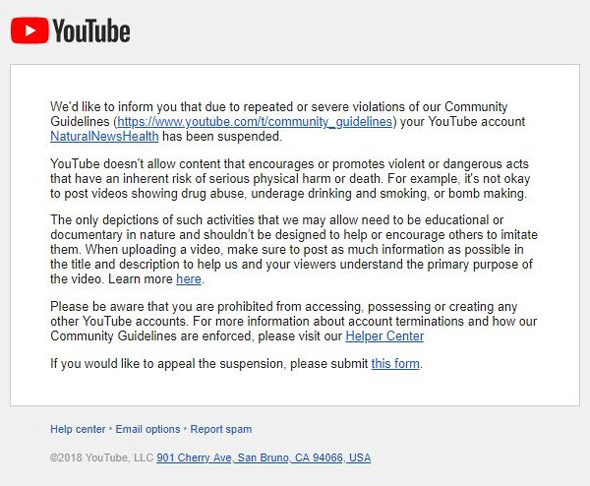 That's right: The video illustrating mass murder in a black church is not banned, but a video criticizing that video gets successfully banned. The censorship is only getting worse, and it's impacting those who vital of the main story, whether it be on violence, gun ownership, mass shootings, or Western medicine. 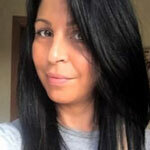 Ideally, we can all stand together soon and speak against all censorship of any kind for any reason. Free speech isn't just a constitutional right, it's an essential human right. If you have a video where you murder a black church choir with an AK-47 and shoot people in the head, that's alright for children, in accordance with YouTube policies, because it promotes a race-baiting HATE story to push prior to the mid-term elections. If you publish a video talking about racial healing and unity, calling for all mankind to live together in peace and harmony, that gets your entire channel banned due to the fact that YouTube, run by ridiculous Leftists, doesn't want racial unity. They wish to maximize hatred before the mid-term elections as yet another desperate tactic to attempt to get Democrats elected who will impeach President Trump.